GD-77S is a series product of GD-77. "S" stands for "Standard". Without LCD screen, the newly added button makes it easy to switch between channels, and the voice prompt function helps you know all the frequency details. We also pre-programmed the channels of GMRS/PMR446 in the CPS so you can choose and easily use those frequencies. All these are to make a "standard" and easy operation radio which can turn on and use directly. 【Dual Band & Dual Time Slot】-GD-77S is a series product of GD-77. "S" stands for "Standard". 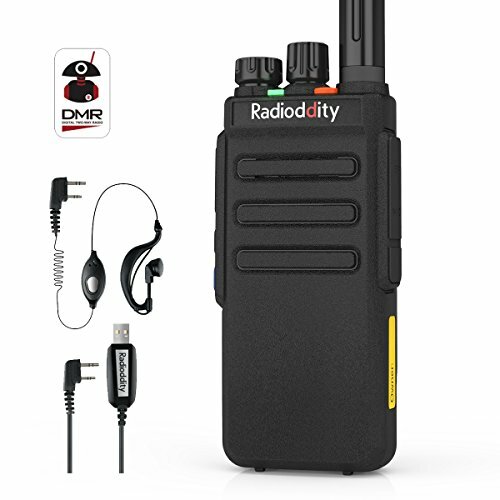 Analog & Digital DMR Tier I & II, compatible with Motorola and other DMR radios; High / Low Power Settings (5W, 1W); Frequency: VHF:136-174MHz, UHF 400-470MHz; 2200mAh High Capacity Battery, FCC Certification.